Asteroids, Centipede, and Missile Command are just a few of the classic titles coming to Steam as part of the Atari Vault collection. One of the great drawbacks of the digital age is that some excellent games and programs eventually become effectively unusable. Technology marches forward while those games and apps get lost to the ages. If you're longing to relive the golden age of Atari on your modern PC, though, you'll be happy to know that Atari will soon release 100 classic titles on Steam as part of its Atari Vault collection. 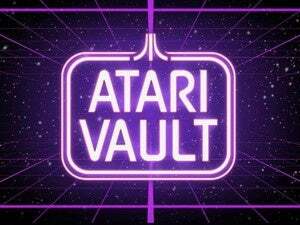 Atari Vault, which arrives this Spring, will include such classics as Asteroids, Centipede, and Missile Command—each with subtle improvements to bring them into the 21st century. According to Atari, the retooled versions will feature user interface updates, support for the Steam Controller, as well as local and online multiplayer support. Despite the updates, the original soundtracks will remain intact. The idea here, according to the company, is to let you "relive the classic gaming experience in the modern age." Pricing has yet to be announced, but the Atari Vault package will be bundled into a single title, so one purchase will get you all 100 games. The story behind the story: Atari is no stranger to re-releasing classics—in 2011, it released Atari's Greatest Hits [App Store link], a collection of 100 classic games for iOS. But Atari is far from the only company that has re-released classic games. For instance, Double Fine's Grim Fandango Remastered is a refresh of the classic late-90s adventure game that had been off the market for over a decade. Meanwhile, GOG bases its business largely around selling re-released digital-download versions of old favorites. Here's hoping that more developers hop on the bandwagon and breathe new life into old titles.